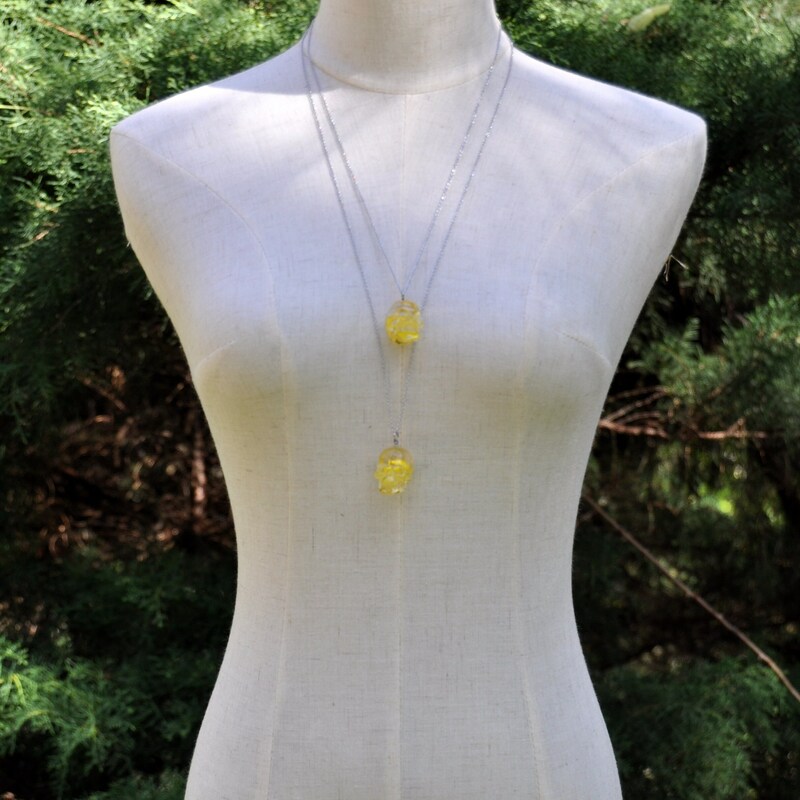 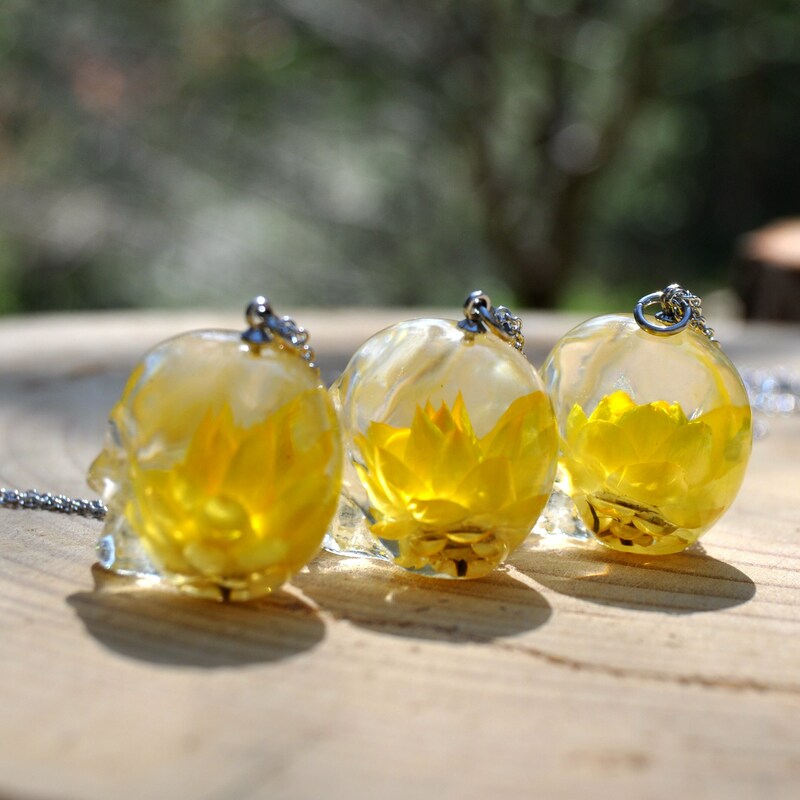 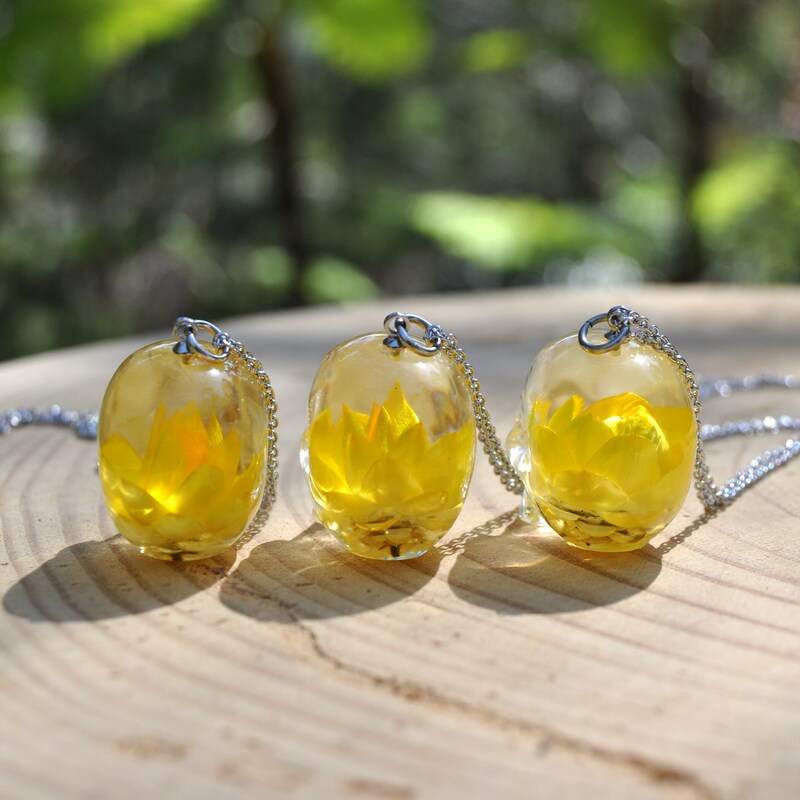 These lovely Gothic style necklaces are a made from real dried Everlasting flowers (Paper Daisies) and clear eco resin. 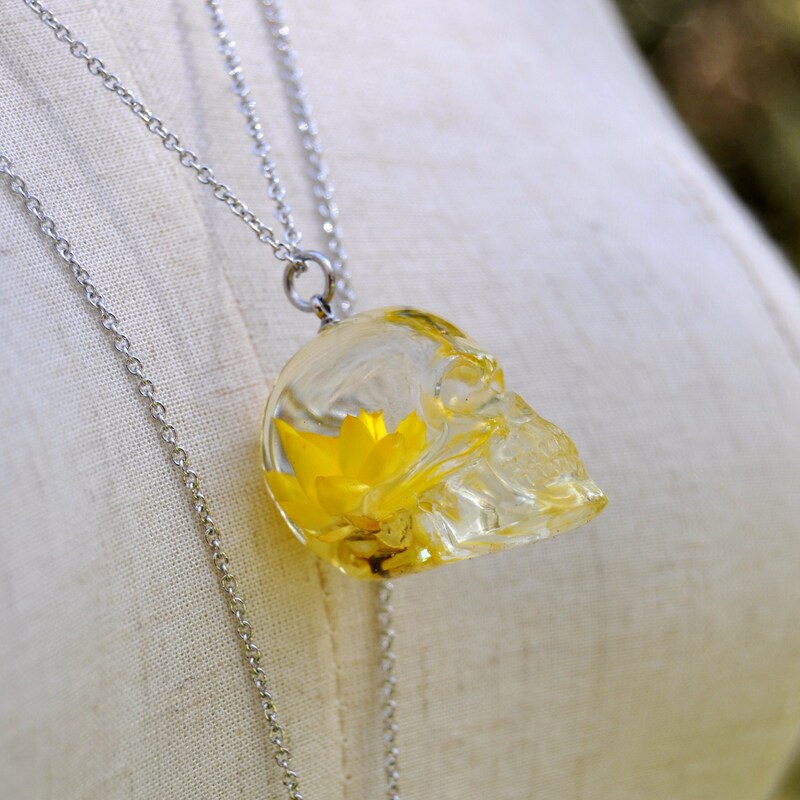 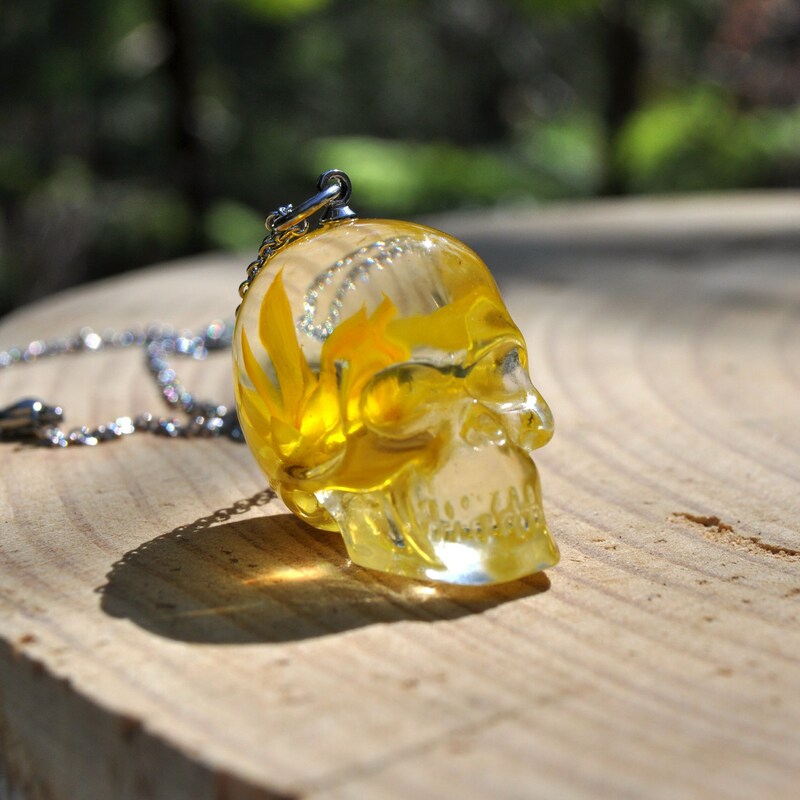 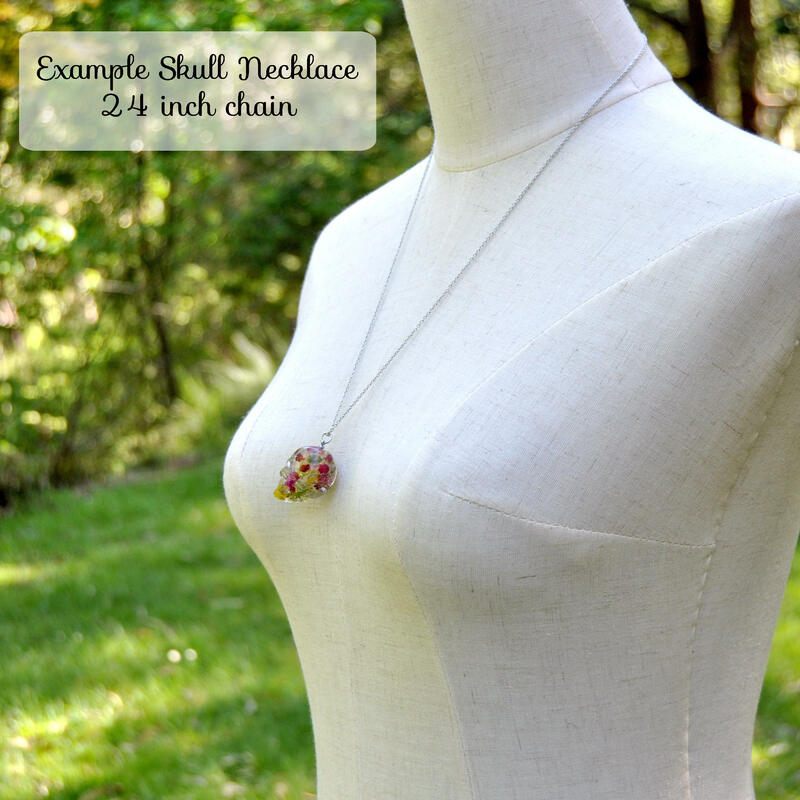 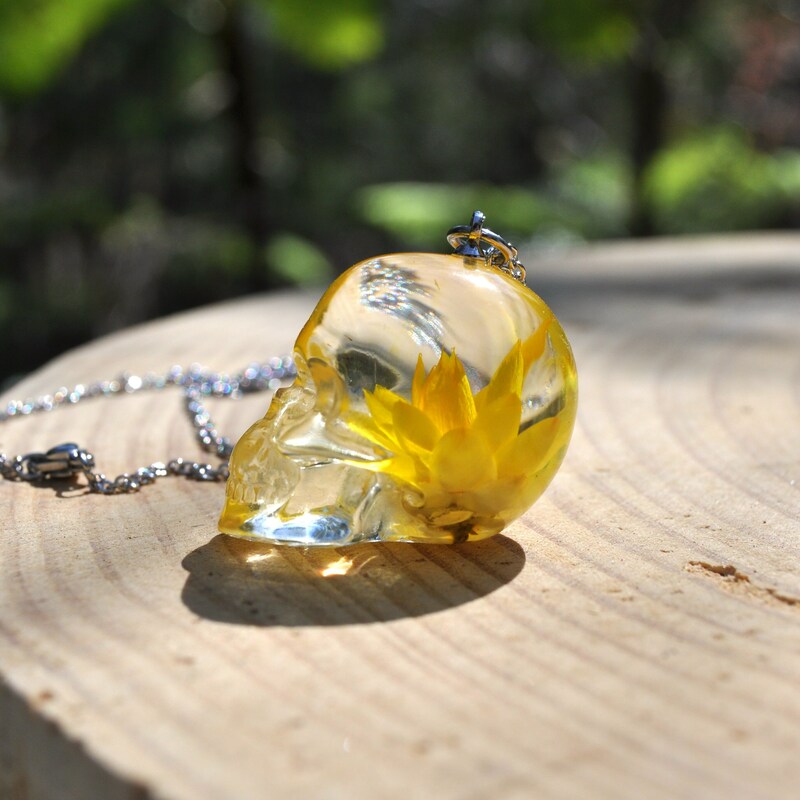 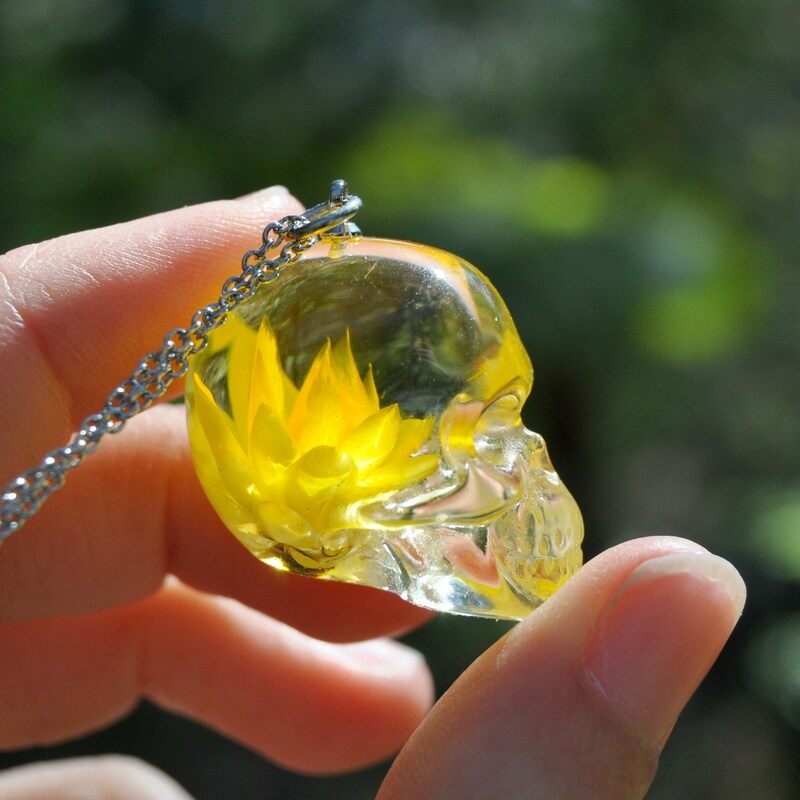 The bright golden yellow of the flower bud gives a beautiful summery and feminine look compared to the somewhat darker skull theme, making these pieces an interesting gift for anyone who enjoys these sort of contrasts (like I do!). 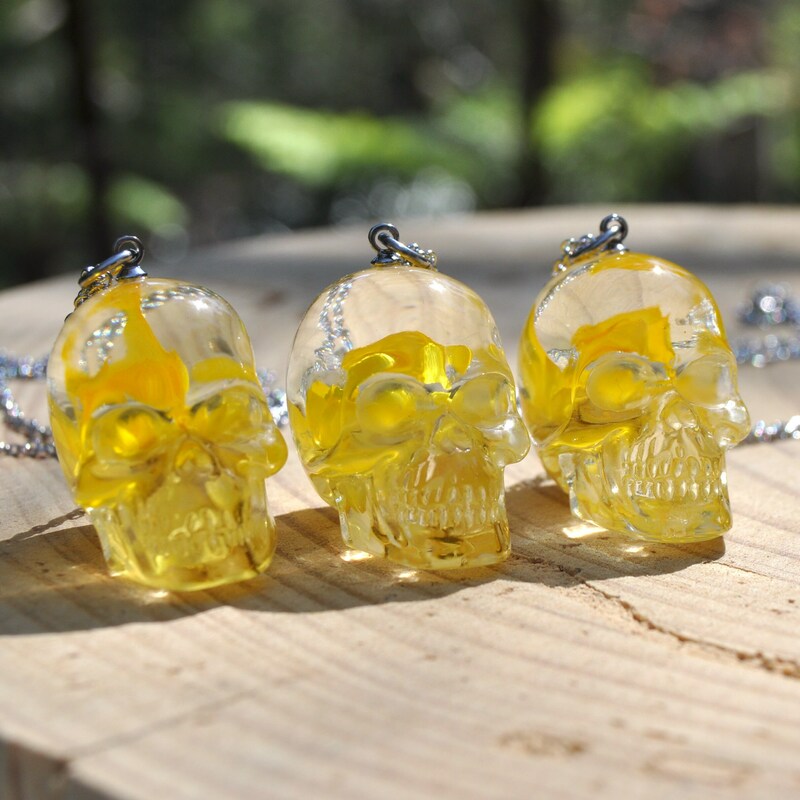 Each skull has been lovingly hand made in a multi-stage process. 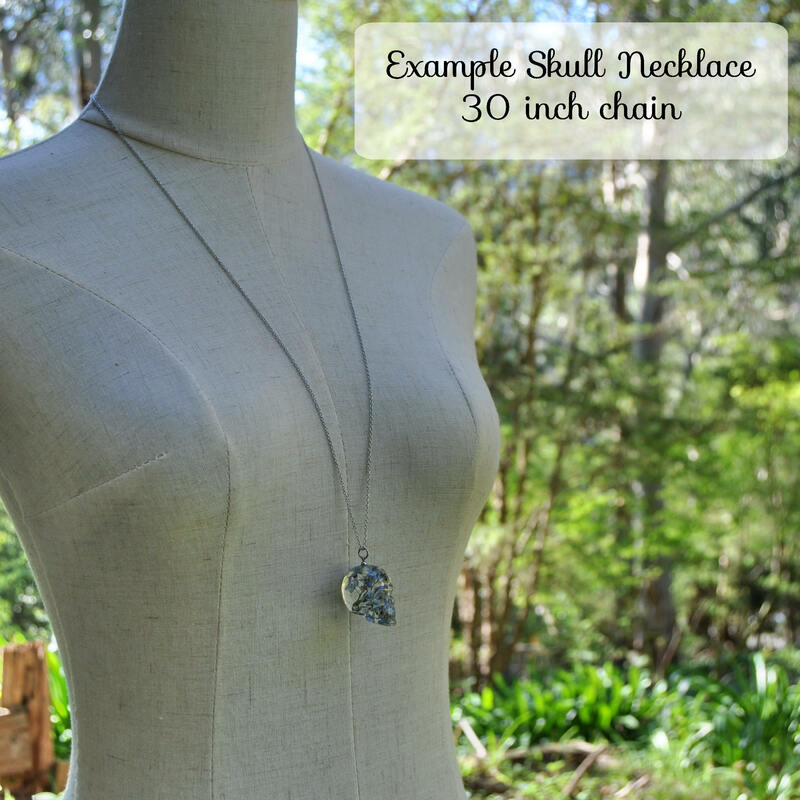 Skulls come finished with stainless steel elements and strung on a surgical grade, stainless steel chain (choose from 24 or 30 inches).